(a) To develop character, comradeship, discipline, leadership,secular outlook, spirit of adventure and the ideals of selfless service amongst the youth of the country. 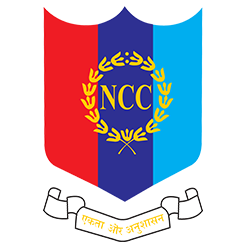 (c) To provide a suitable environment to motivate the youth to take up a career in the Armed Forces.The NCC is open to all regular students on voluntary basis.Boys / Girls studying 1SL year degree course are enrolled in Senior communal outfit. Nor there should be any discìplinary against them in the college / university. Division / Senior wing. Our college has two companies. The tirsi company is under H Tamil Nadu Battallion NCC, Nagercoil for Boys and the second company is 3 Tamilnadu Battalion NCC, Tirunelveli, for Girls. ANO of Girls wing Capt Dr. C Punitha. ANO of Boys wing Et. Dr. K.R. Ajeendranath.